Over the last few years, I have to say that ice cream has knocked cake out as my #1 favorite dessert. There’s just so much to love about its cold, creamy, silky smooth texture that has seemingly limitless flavor combinations. One thing that’s helped ice cream become number one in my life is the fact that it’s so easy to make at home. And you don’t even need an ice cream maker. I had wanted an ice cream maker for ages to make ice cream at home but never bought one because I just didn’t want to have to find room to store yet another small appliance. Nevermind the fact that our freezer is almost always packed full. Then I discovered you can make ice cream at home without an ice cream maker. And it tastes just as good as the expensive fancy stuff you’d buy at the store. In fact, Mr. 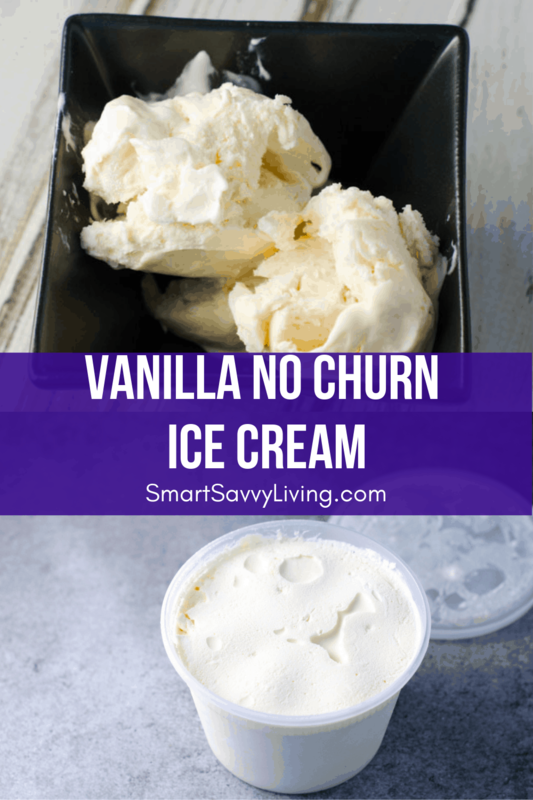 Savvy says this no churn vanilla ice cream recipe is his all-time favorite. We may have even eaten the entire container in two days, just the two of us. I love that it’s so, so creamy and smooth, takes just minutes to make, and obviously that it doesn’t need an ice cream maker. It doesn’t freezer super hard so it’s easy to scoop straight out of the freezer but it also doesn’t melt in seconds – unless scooped over a hot dessert, of course. 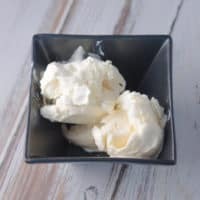 This homemade vanilla ice cream recipe takes simple ingredients and can easily be changed up with different ingredients. Does No-Churn Ice Cream Really Taste Like Ice Cream? There are some no-churn ice cream recipes out there that use ingredients like bananas. And, honestly, while those recipes are good and all, they aren’t really truly ice cream to me. I’m pretty picky when it comes to ice cream and this no-churn ice cream really does taste like the real deal to me. I love it so much I’ve created several different flavors with this base over the years. I will say that if you don’t like the flavor of sweetened condensed milk for whatever reason, this recipe probably isn’t for you, though. In my opinion, it’s not an overpowering flavor, but you can still definitely tell that it was used to make the ice cream. This is seriously one of the easiest recipes ever, especially if you use an electric hand mixer (or stand mixer if you prefer). The hardest part is waiting for it to freeze into an ice cream consistency in the freezer! 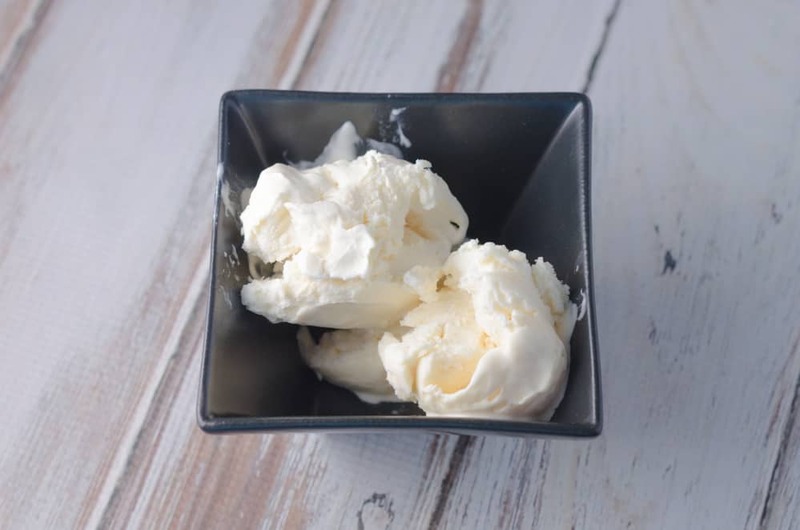 Seriously one of the easiest, and most delicious, vanilla ice cream recipes ever. And you don't even need an ice cream maker. Whip the cream with a mixer or whisk until stiff peaks form. This is easier with cream straight from the refrigerator. Be careful to not whip too long or you'll end up with butter. Once the cream is whipped, pour in the sweetened condensed milk and vanilla extract. Gently fold the ingredients into the cream until well combined. You want to keep that creamy light an airy texture so this is not a time to take out your frustrations. 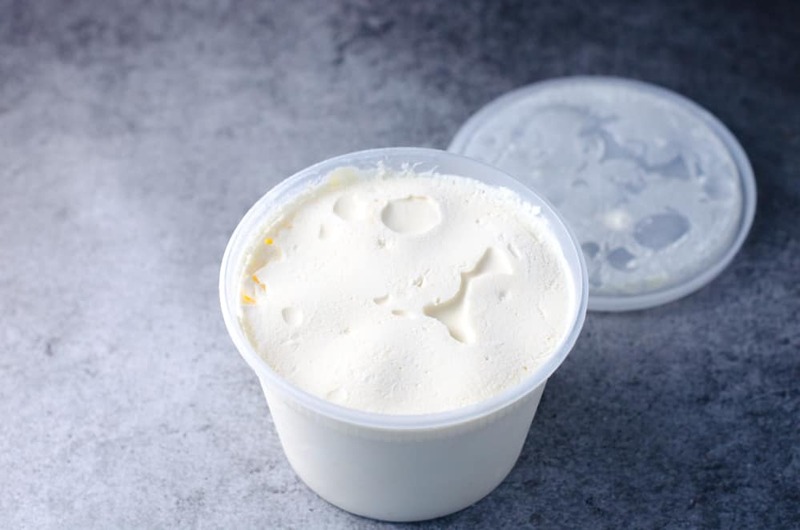 Pour into a 1.5 to 2-quart freezer safe container with lid and freeze for at least 6 hours or overnight before serving. The longer it freezes, the harder the ice cream will get. The ice cream is so creamy it doesn't need to sit out before scooping in my experience, though this will ultimately depend on how cold your freezer is. 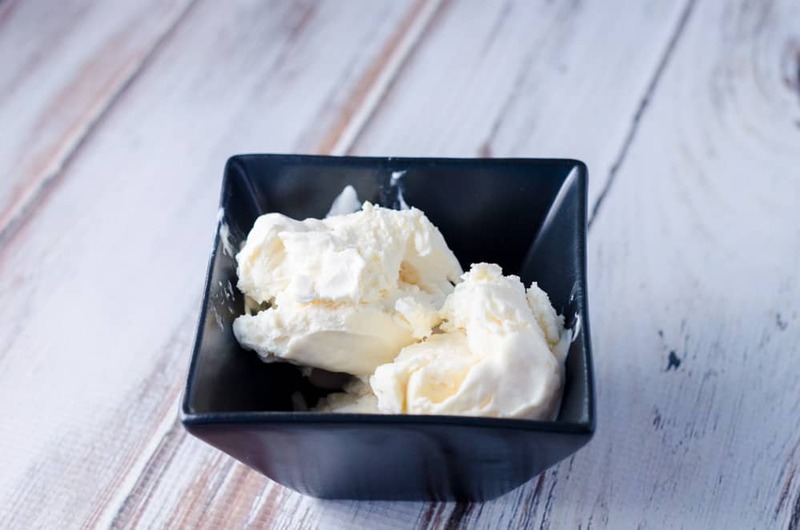 For a pristine white vanilla ice cream, use a clear vanilla extract. If you like the look of vanilla seeds in your ice cream, add the caviar of one vanilla bean. Nutrition information may not always be accurate. Exact nutrition information depends on the specific ingredients you use.